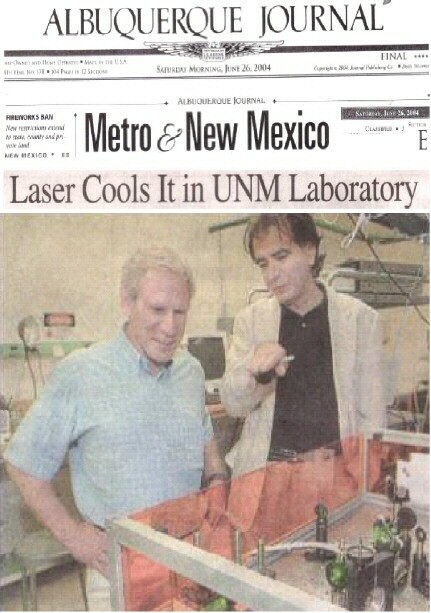 UNM reports a major milestone in Optical Refrigeration: T<160K ! 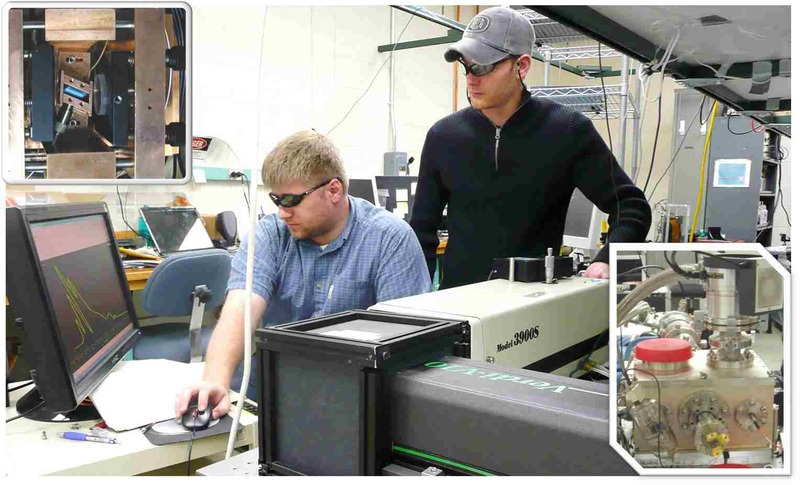 UNM researchers, in collaboration with their coworkers at the University of Pisa (Italy) and LANL have now achieved the first ever all-solid-state cryogenic operation using laser cooling of a Yb-doped crystal down to 155 K ! (April 28 2009). Graduate students Denis Seletskiy and Seth Melgaard (Sheik-Bahae's Group ) achieved this by exploiting sharp resonance in the Stark manifold of Yb:YLF, thermal load management and a resonant cavity enhanced approach. Another new redord that was achieved in this experiemnt was a cooling power of 120 mW, nearly twice the earlier record obtained in Tm:ZBLAN (also by UNM). The Yb:YLF cystals were grown by Mauro Tonelli's group (Dr. Stefanao Bigotta) at EST-CNR, Dipartimento di Fisica, Universita di Pisa, Italy. Earlier record cooling down to 195K was reported in a paper at the SPIE's Photonics West conference in San Jose, CA on Jan. 29. Paper 7228-14 (Seletskiy, et al.). 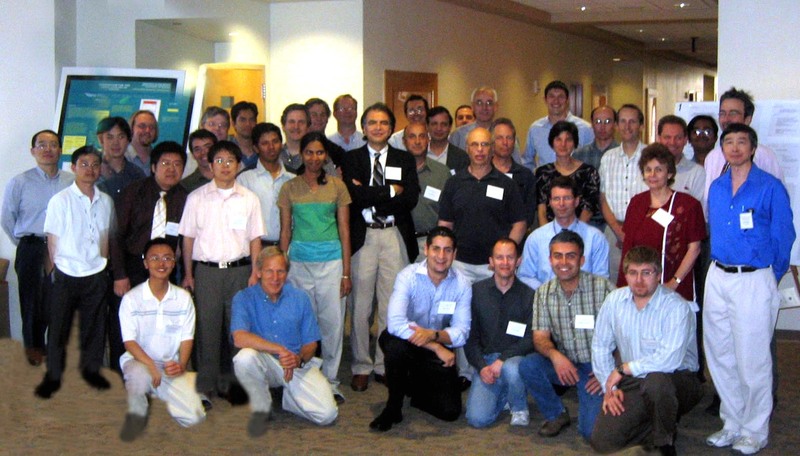 Laser Focus Wolrd (LFW) highlights laser cooling of semiconductor load..
W.M. Patterson, Denis Seletskiy, M. Sheik-Bahae, R.I. Epstein, M.P. Hehlen, �Measurement of Solid-State Optical Refrigeration by Two-Band Differential Luminescence Thermometry,� J. Opt. Soc. Am. B 27, 611-618 (2010). D. V. Seletskiy, S. D. Melgaard A. 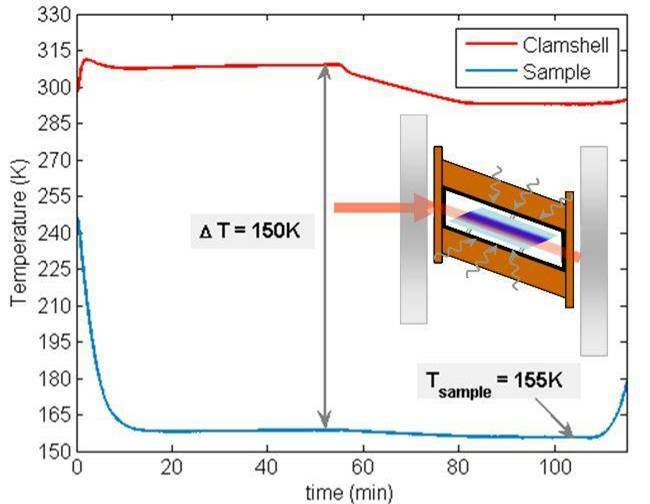 Di Lieto, M. Tonelli, and M. Sheik-Bahae, "Laser cooling of a semiconductor load to 165 K," Optics Express, Vol. 18, pp.18061-18066 (2010) . M. Sheik-Bahae and Denis Seletskiy �Laser Cooling in Dense Atomic Media�, Nature Photonics, 3, 680-681 (2009).